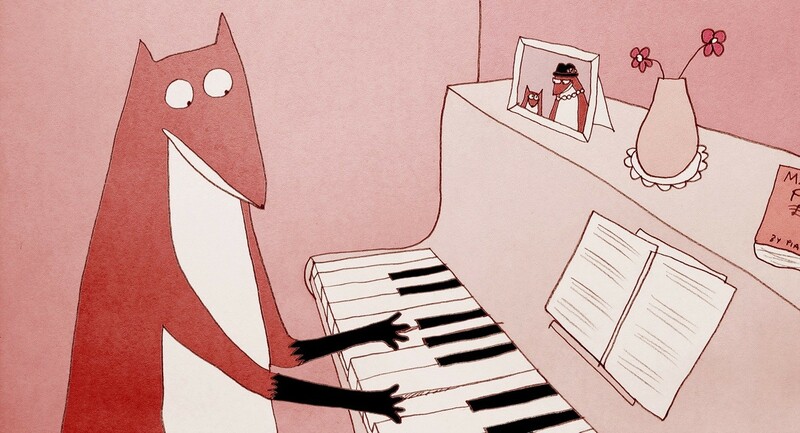 “Manivald”, a 13-minute animation directed by Chintis Lundgren and co-produced by Canada, Croatia and Estonia, is a nominee at the European Animation Awards competition. This article is published in collaboration with the Estonian Film Institute. 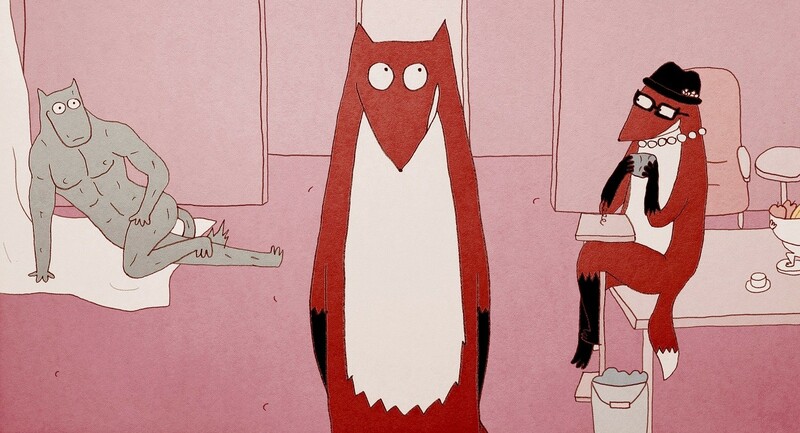 Directed by Estonian-born Chintis Lundgren, the animation is a tragicomic story of the 33-year old Manivald who gets into a confusing love triangle with his mother and a hot young wolf. The film has screened at over 30 film festivals around the world and so far has already won eight awards. It is currently a nominee in the “Best Background & Character Design in an Animated Short Film” category at the European Animation Awards competiton. Maria Ulfsak caught up with Lundgren to talk about the filmmaker’s craft. Please tell us a bit about your background. You did not study animation in the first place; how did you end up in animation? I ended up in animation quite accidentally. I studied at an underground performance art-oriented school called Non Grata in Estonia and spent the first seven years of my career painting. But then I had a creative crisis and started playing around with animation, it was just for fun and I thought I would go back to painting later. I never did because I discovered that animation was so much more fun and also a lot more rewarding. Going to festivals and drinking vodka with other filmmakers, seeing tons of amazing films and interacting with the public are the best things ever. What was the initial impulse for “Manivald”? It started with the character. I had been making one-picture comics with a cast of anthropomorphic animals (Manivald and the Absinthe Rabbits) and putting these on Facebook. I noticed that people really liked these and decided to develop some of the stories further. My previous film, “Life with Herman H. Rott”, also comes from this universe. The film did well at festivals and it made perfect sense to continue and make a film about another character from that world. Please tell us a bit about the working process of “Manivald”. One day after finishing “Life with Herman H. Rott” I already knew what the story for the next film would be. It seemed like an easy job to write it into a script and start animating. The first draft came quite quickly and I secured some financing from Estonia and Croatia with that. 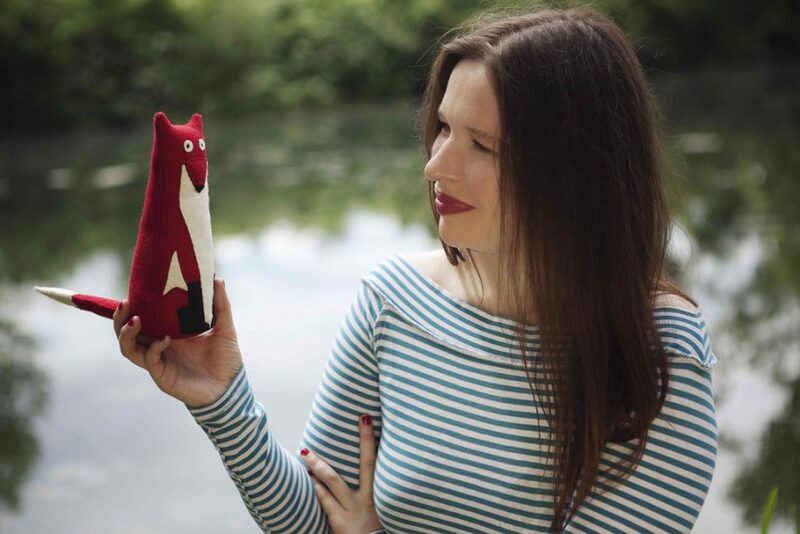 Just when I was ready to start animating, I met Jelena Popović from the NFB (the National Film Board of Canada) and she felt the story needed some polishing. Together with her, Priit and Olga Pärn (Estonian animation makers – editor) and my co-writer, Draško Ivezić, we spent close to nine months fixing all the bigger and smaller problems in the script. It’s the first time I spent more time on the script than on animating. And in the end, the story is still the same, but a lot less confusing and much more focused. Why do you prefer to make your films about animals, not people? I prefer to use animals because they’re easier to relate to, it’s not that hard to identify yourself with a fox or a rabbit. If I would draw a man with moustache and a bald head that would already be very specific, not everyone would see themselves in that character. And I’d like for the audience to recognise themselves and laugh over their own stupidity and problems. What are your next projects and plans? Together with my partner and co-writer, Draško Ivezić, we’re developing the Manivald and Absinthe Rabbits universe into a TV-series. In some way, Manivald is almost like a pilot. The story continues after Manivald leaves home, he runs away with a gypsy band to a town called Luxlandia and ends up living in an undercover gay bar called the Hedgehog’s Closet. The place is managed by a cross-dressing hedgehog called Tiit and his wife, a conservative bear called Brunhilde who doesn’t know that her husband is a cross-dresser – or that it’s an undercover gay bar. There are a lot of troubled characters who come to this bar and Manivald, even though totally inexperienced in life himself, becomes their life coach. Also Herman and Cat, characters from my previous film, are part of the cast. The series is full of secrets and focuses around “coming out the closet”, sometimes quite literally. We’ve been pitching the series for a while now and there is a lot of interest, people want to see it. But, of course, financing a TV-series for adults in Europe is almost a mission impossible. The public voting of the European Animation Awards is open until 30 November and the winners will be announced at an award ceremony in Lille, France, on 8 December. Cover: Chintis Lundgren with the character she created, Manivald (picture by Petra Mrša). Read more from the Estonian Film Magazine. The Estonian Film Magazine is published since 2013, twice a year, by the Estonian Film Institute. Every issue informs the readers on the news about the Estonian film productions, publishes reviews of new titles and interviews with film professionals. Maria Ulfsak works as a film critic at Estonia’s second biggest national weekly newspaper Eesti Ekspress. She studied journalism at the University of Tartu and has a master’s degree in film studies from the University of Warwick. 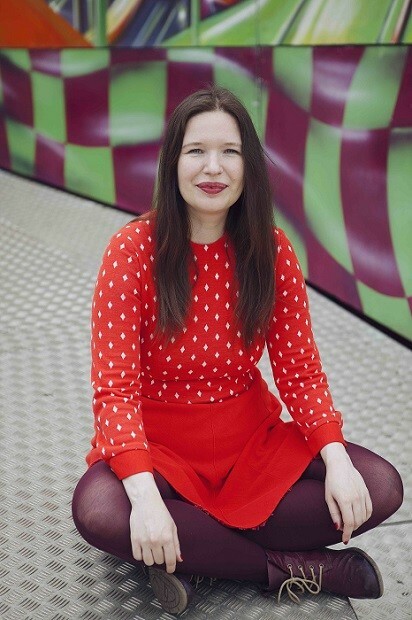 Maria has also worked as a programmer for the Tallinn Black Nights Film Festival and the Baltic Event Co-Production Market. Her works have been published in almost all of the most influential newspapers and magazines in Estonia.